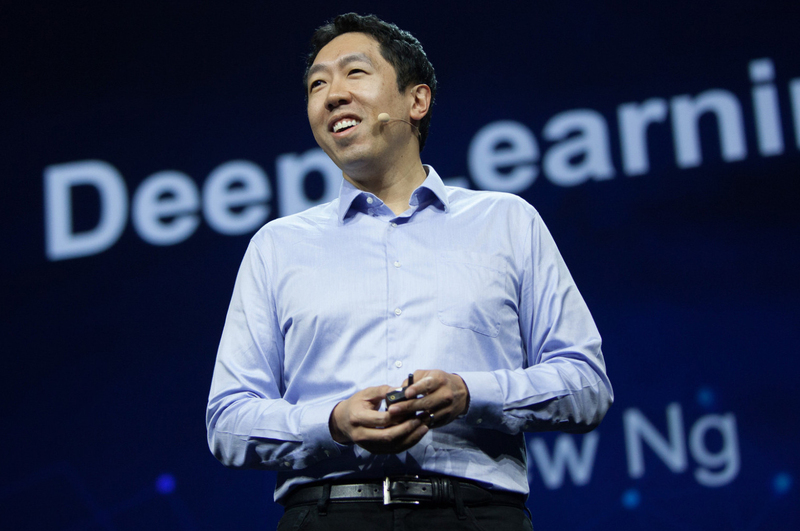 In a surprise move which shook Baidu’s stock, Andrew Ng, Baidu’s Chief Scientist and partner with Baidu’s founder Robin Li Yanhong in expanding Baidu’s AI activities into machine learning, driverless vehicles, and to power AI usage in advertising, maps, takeout delivery, and voice-activated search, resigned. Baidu’s AI group has expanded to over 1,300 people in China and Silicon Valley. 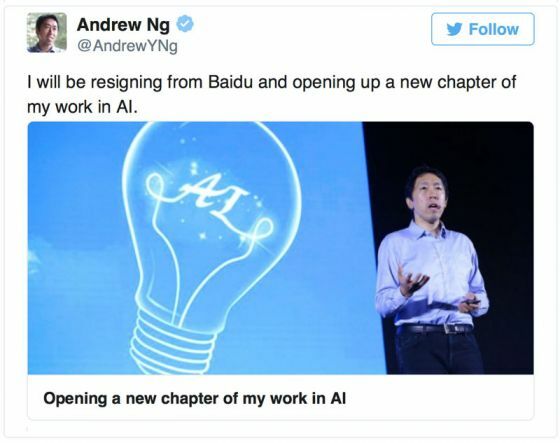 Ng, who has been with Baidu since 2014 oversaw most of that change. Some see Ng’s departure as a setback to their AI efforts, hence the shakeup in the stock price. Others comment that the timing was right both for him and for Baidu. In January, Lu Qi, an AI exec from Microsoft, was hired as COO which included oversight of Baidu’s AI research and business. Today he announced Ng’s replacement as head of AI Group to be Wang Haifeng, also an AI expert, and previous president of the Association for Computational Linguistics, an international scientific and professional society for people working on computational problems involving human language. He wants to start his own company. Ng saw a golden opportunity to become an entrepreneur. It’s perfect timing for him because he has the expertise, he’s well known in his field, and interest is high for innovative tech start-ups. I wouldn’t be surprised if Baidu, Tencent Holdings and Alibaba Group would be interested in investing in Ng’s potential new AI enterprise.